This double album is an unreleased live recording of Clannad that captures the band just before the decade which would see them define a new age of Celtic Music and go on to global popularity. Recorded by Radio Bremen in 1980 it captures perfectly the trad material that they energised with their near magical talents. This is a very different Clannad from where they would be in just five years time, but you can hear the foundations of what was to come, and for many this will be arguably a purer Clannad. 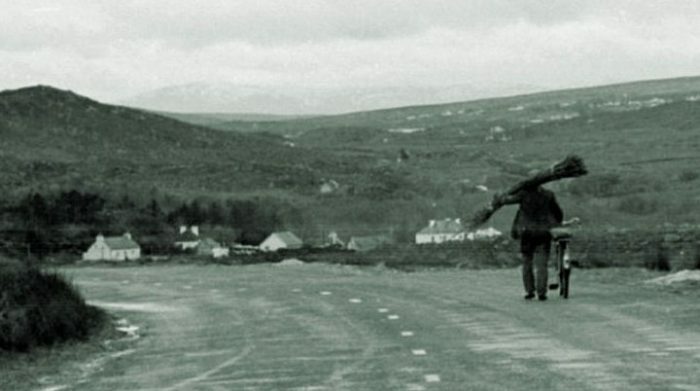 Through the seventies they collected tunes and songs from their native Donegal and arranged and interpreted them in their vibrant and unique way. Many of the songs had a mythical edge to them, but Clannad were already perfecting their knack of accentuating and dialling up the inherent magic of the Irish landscape and language. Siúil a Rún and Dúlamán both hold portents of the drama and intensity of the vocal harmonies that were to come in the coming years on albums such as Magical Ring and Macalla. The bulk of the material here is from their first three albums, it is easy to forget just how good they were. I can remember hearing their debut album for the first time and being blown away by the opening song Nil Sé’n Lá; the purity of Máire’s voice backed up by the spine tingling harmonies of the Brendan and Duggan brothers and uncles was unlike anything I had heard before. Turas 1980 is a wonderful reminder of those early years, the vibrancy and purity jumps out at you. Strange to say that the songs on here have aged better than some of their songs from the late eighties, but then the eighties was a bit odd all round.